"Take A Load Off, Inner Roommate..."
We all “get in our own way.” We all, consciously or unconsciously, engage in behaviors that hinder our effectiveness, our results, our level of satisfaction…you name it. People do this to themselves in a variety of ways. If we try to give constructive feedback to an employee when we’re angry and irritated, we’re getting in the way of our message. If we do not return the phone call of an angry customer because it is uncomfortable, we’re getting in the way of resolving the issue. If we make a batch of brownies when we’re trying to shed pounds, we’re likely getting in the way of our weight loss. Often, we get in our own way by letting our mental chatter or head trash get the best of us. “That person seems annoyed. You must have done something wrong,” I tell myself. Or “you’re never going to get that proposal out in time!” We talk to ourselves all day long, often with a very critical voice. I recently came across a mantra. “Take a Load Off, Inner Roommate,” it said. How profound! The way that we talk to ourselves has a tremendous impact on how we show up, how we perform at work, and how we parent our kids. If we can quiet, ignore or better yet, laugh at that inner roommate when he/she not serving us, we will find ourselves in a much happier and more productive place. In July, for the first time EVER, I attended my high school reunion. It had been 30 years since I had seen most of these folks, and the contact was limited to Facebook. During my formative high school years, I never really “gelled” with my class, which undoubtedly contributed to my choice to forgo previous reunions. Now, in 2018, thanks to a family vacation in close proximity to the event, as well as plenty of coaxing from my mother and sister, I decided to attend. I was pushing far out of my comfort zone and I.WAS.NERVOUS. After some thought, I realized that my nervousness could completely derail any enjoyment of the event if I were not careful. I made a conscious and deliberate effort to shift my perspective. Rather than worrying about whether it would be awkward, people would remember me, etc., I decided to set a goal of making every conversation at the event meaningful. I would approach each interaction with a purpose—to learn all about the adult version of the person I knew in 1988 and to make each feel like the most fantastic person in the room….no matter what vibe I received. I would use the same level of engagement, curiosity, kindness and thought that I strive to bring to my coaching and business life. As we approach opportunities and contacts, we are at our very best if we focus on being interested rather than interesting. Whether it be a sales prospect or a new colleague, we should let our curiosity guide us and seek to understand. In so doing, we facilitate a deeper personal connection, naturally build trust and transfer positive energy to the other party. The higher the stakes, the higher the importance. If we lay the right foundation, we always have the opportunity to follow up and continue the conversation at a later date. If we make the wrong impression? Not so much…. As for my reunion? Not one regret. As it turned out, there was no reason to be nervous. 2018 Goals...It's Not Too Late! My “New Year” commenced a little bit late this year….on January 16. On the one hand, it was fitting, as I was celebrating the one-year anniversary of Thrive to Lead. On the other hand, the truth is that I just was not ready to rock on January 1. I fully intended to begin the year on January 1. Earlier in the fall, I thought that I would use the last two weeks of December reflecting upon the year, internalizing my lessons learned, and using them to formulate my goals for 2018. Not my idea--I had read it somewhere. Perfect! I surmised (around December 27) that originator of the two-week reflection period was not a mom with two school-age children on winter break, was not hosting multiple Christmas gatherings, and did not have obligations to clients during these two weeks. I had no time for reflection during the final 14 days of 2017. Going forward, I will select another time. Fortunately, thanks to a fantastic peer group, I had drafted and refined my goals for 2018. I only needed to ink them. Once on paper, I broke the goals down into quarterly chunks and weekly benchmarks (with accountabilities) for vital activities. I took this from Gino Wickman's book, Traction. Finally, thanks to a weekend retreat with my dear college friends, I was able to slow my pace to reflect on 2017 and re-energize myself for 2018. The time with these girls made me laugh and fed my soul. The slower pace and lack of demands brought reflection and rejuvenation. I got out from under the “OMG it’s January 12, and I’m already behind!” I was ready to go! My advice to you: If you raced into 2018 without a chance to reflect, to set a few well-thought goals and determine how to measure your progress, it is not too late. You need not wait until 2019 to hit the reset button. Carve out a few hours, breathe and be intentional about what you want to accomplish this year. Put it in writing and break it into chunks. You can always start your new year on February 1. If you would like help setting and achieving your 2018 goals, I’m here to help! 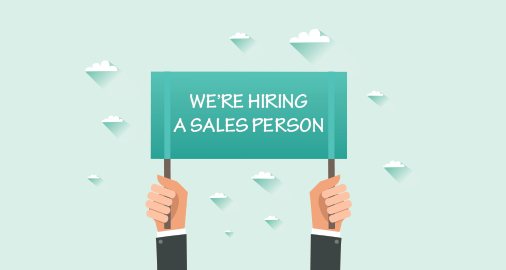 Looking to hire a salesperson or sales team to grow your business? Hiring the right salesperson, even for the experienced hiring manager, can be tricky. After all, salespeople SELL….so it stands to reason that they should be pretty darned good at selling themselves. 1. Drive/Motivation—why does s/he get out of bed in the morning? Does s/he exude energy? How does s/he set goals and plan to achieve them? Consider using a high-quality assessment tool to measure drive and motivation. 2. Work Ethic—does s/he do whatever it takes to get the job done, or do they take the easy road? Most candidates will tell you that they have what it takes to get the job done. Probe about difficult experiences and how they handle adversity. 3. Curiosity—the easiest way to evaluate this is the caliber of the questions s/he asks YOU about the role and the company. If s/he does not ask thoughtful questions, s/he will not do so with a potential customer. DO ask about track record. Dig in. Check for missing data. If the performance includes a downturn, is there a solid explanation? How did s/he perform compared to peers? DO ask for specifics and examples in every question. “Tell me about a time when….” is a great way to frame each question. DON’T rush the process because you want to get somebody in place. Hiring the wrong person is NEVER better than hiring no one. If you find yourself thinking “s/he will probably be fine,” it is not the right hire. DON’T forget to ask for references. By all means, call each source! Does a former boss give a glowing testimonial? Awesome! Conversely, if the reference is vague, or if the person does not call you back, it is a bad sign. Consider asking for references from their two most recent employers. Be sure to speak directly with their direct supervisor. Finally, DON’T hire unless the candidate asks for the job, or closes you. If he/she does not ask for the job, s/he will not ask a potential customer for the business. 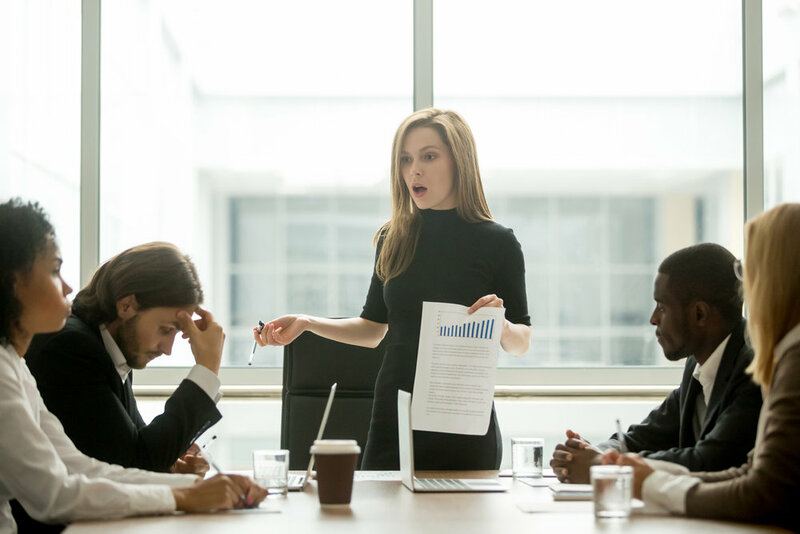 Making the wrong hire is costly. Consider the time lost in onboarding, training, recruiting, morale, etc. This can cost up to three times the annual salary. If you would like professional support in getting your salesperson off to a fast and $$$ start, give me a shout!